On February 1, 2019, about 1355 mountain standard time, an experimental Rans S-12XL airplane, N536RH, during takeoff from Socorro Municipal Airport (ONM), Socorro, New Mexico, collided with an unoccupied helicopter and a light pole before coming to rest in a vacant parking lot. The private pilot succumbed to his injuries seven days after the accident. The airplane sustained substantial damage. The pilot had recently purchased the airplane and he was operating it under the provisions of Title 14 Code of Federal Regulations Part 91 as a local flight. Visual meteorological conditions prevailed and no flight plan was filed for the flight that originated from ONM. On the day of the accident, the pilot departed from an unknown runway at ONM for a local training flight. There were no witnesses to the accident. The kit airplane was built in 2000 and was equipped with a Rotax 912UL series engine. The airplane had a two-seat side-by-side configuration and a fixed tricycle landing gear. ONM was situated at an elevation of 4,875 ft above mean sea level. It was equipped with two paved runways, designated 15/33 and 6/24, which measured 5,841 ft by 75 ft and 4,590 ft by 60 ft, respectively. ONM was not equipped with an air traffic control tower. The 1353 automated weather observation at Truth or Consequences Municipal Airport (TCS), Truth or Consequences, New Mexico, located about 51 nautical miles to the south of the accident site, included winds from 160° at 12 knots gusting to 20 knots, visibility 10 miles, and clear skies. 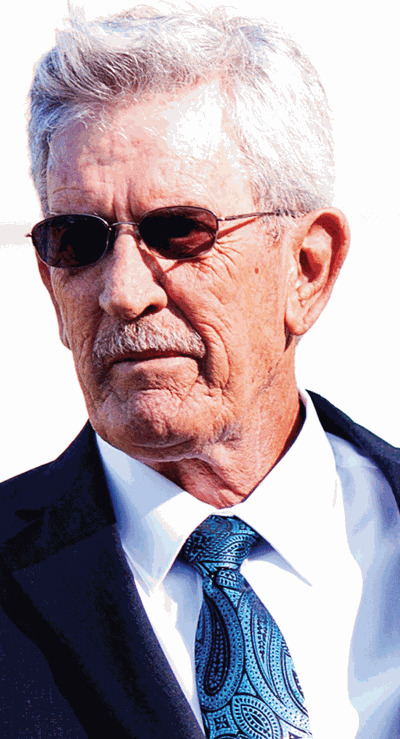 Edward Lynn Sigman, 75, born December 1, 1943 in Cabool, Missouri passed away peacefully on Friday, February 8, 2019 at the University of New Mexico Hospital in Albuquerque, New Mexico. Eddie worked most of his life and retired as a radiologic technologist and phlebotomist. Stationed at Fort Leonard Wood, Missouri he was also a veteran of the United States Army. Eddie’s passion for using his hands allowed him to build and repair almost anything including an award winning 1932 Hot Rod. His great talent for re-building engines along with his passion for flying drove him to own over 19 different airplanes in his lifetime and he held great pride in building, repairing and modifying the various airplanes he owned. He is survived by his wife of 24 years, Millie Sigman; daughter, Kristal Howell; son-in-law, Greg Howell; granddaughter, Kaitlyn Grace Howell; sister, Mary Jean Sigman; and numerous cousins, nieces and nephews. He is preceded in death by his father, Ralph E. Sigman; mother Vera Thompson; and brother Ralph Ray Sigman. Memorial Services will be held at the First Baptist Church in Socorro, New Mexico on Saturday, February 16th at 10 am followed by a potluck. Internment services will be held at the Steely Chapel Cemetery in Cabool, Missouri. SOCORRO, New Mexico - Federal agents are trying to find out what caused a plane to crash in Socorro sending a pilot to the hospital. State Police responded to the crash at the Socorro Airport Friday. They say the small plane's wing clipped a light pole at some point during the crash. The Federal Aviation Administration started their investigation soon after. The pilot's condition is unknown.